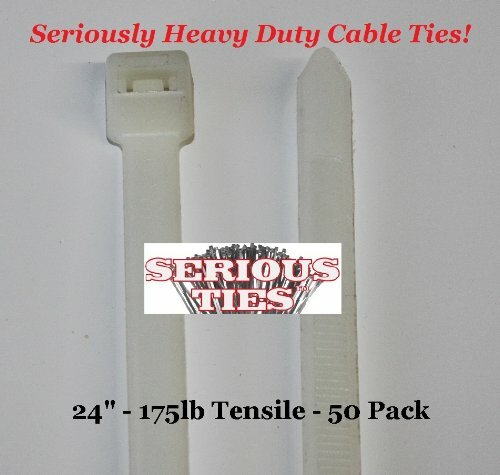 Serious Ties are exactly that, for serious securing. They are perfect for confidently securing anything you want. Our product is fully functional, stunningly strong, affordable, and offers countless applications. If you have any questions about this product by Serious Ties, contact us by completing and submitting the form below. If you are looking for a specif part number, please include it with your message. 8" Zip Ties (1,000 Pack), 40lb Strength Black Nylon Cable Wire Ties, By Bolt Dropper.